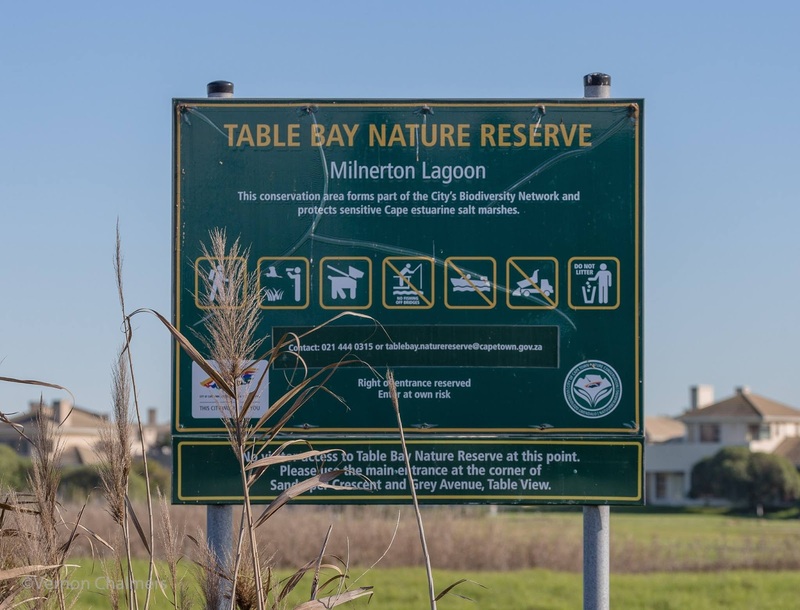 A short hike from Woodbridge Island, opposite Milnerton High School, is the entrance to the Milnerton Lagoon section of the Table Bay Nature Reserve conservation Biodiversity Network. 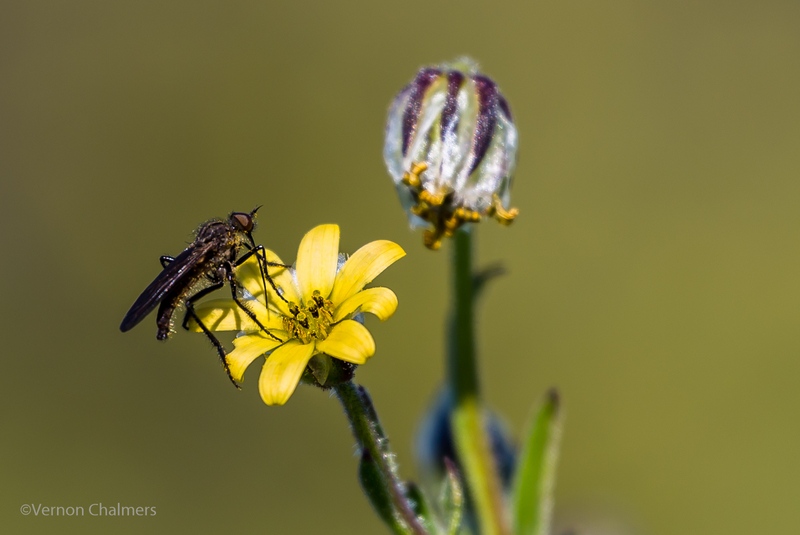 A relatively small wetlands area, but part of the much wider geographical nature conservation zone covering the Rietvlei Wetlands, Milnerton Lagoon, Milnerton Beach, Milnerton Racecourse, Zoarvlei Wetlands, Diep River and the Parklands Fynbos Corridor. I frequently hike the Milnerton Lagoon / Diep River area in the hope of spotting some of the various bird species around the roadside of the Milnerton Lagoon, the Diep River and the tiny island (not Woodbridge Island) where I regularly photograph egyptian geese, grey herons, pied kingfishers and spoonbills. I've spotted a lonesome malachite kingfisher flying past a few times, but I'm still unable to discover his perching whereabouts - or to get a good in flight capture. On a sunny morning there are many red-knobbed coots scooting down the river. Various smaller birds like the weaver and waxbill chirp and hop impatiently through the reeds. 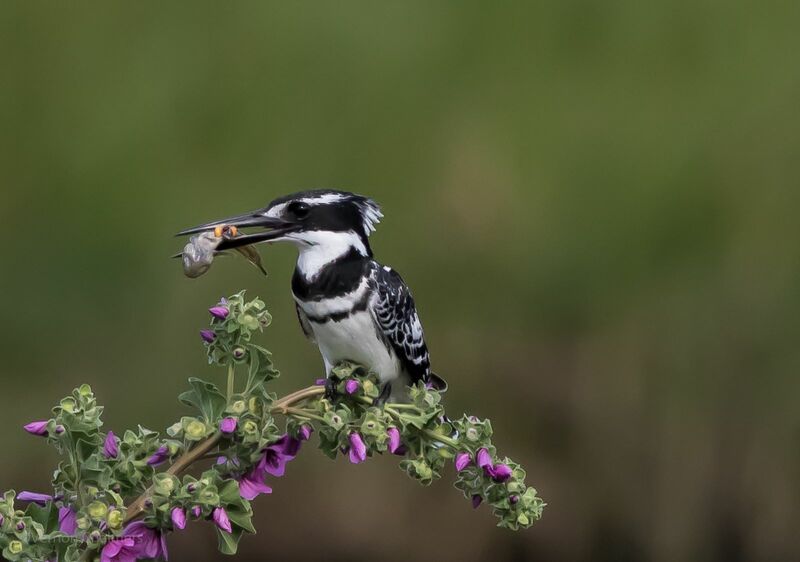 Many of the larger birds also land and feed on the Milnerton golf course side of the Diep River. 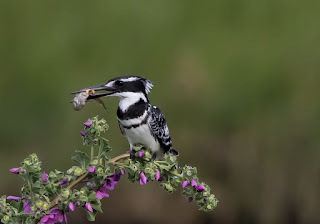 On any given day there will be at least one Pied kingfisher flying, diving and / or perched. Personally, my favorite small bird to watch and photograph. During summer many sandwich and swift terns carry out their spectacular dives and turns out past the pump station into the main reserve area. Over the last couple months I've also captured the elusive malachite kingfisher perched / (and eventually in flight) in the reserve and on the wooden bridge. Entrance to the Table Bay Nature Reserve (Milnerton Beach / Milnerton Lagoon / Diep River) is free and the images below are captured from about a 10 - 15 minutes walk from Milnerton Lagoon / Woodbridge Island through the Diep River entrance. 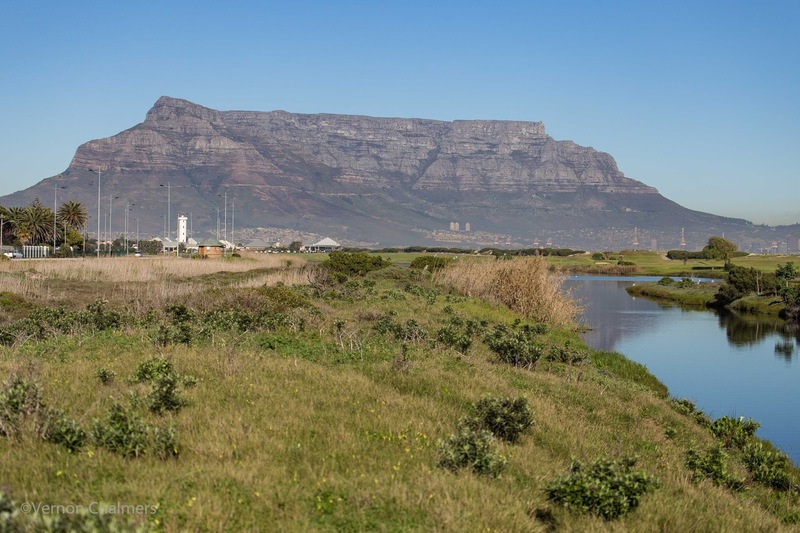 There are some amazing views of the Diep River, the prominent Milnerton Lighthouse on Woodbridge Island and our majestic Table Mountain. 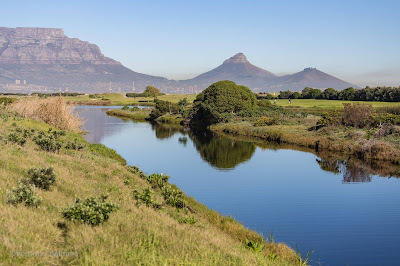 On the other side of the Diep River are the lushes greens of the Milnerton Golf Course - on a quite morning you will hear the regular 'ping' of golf balls being driven down the well-kept fairways. Snapshots with Canon EOS 6D / EF 70-300mm f/4-5.6L IS USM lens. Entrance to the Table Bay Nature Reserve is on the Diep River side of the crossing of Broad Road and West Coast Road. My recommendation if you coming by car is to park on Woodbridge Island and walk over the main bridge, past the old wooden bridge and keep along the Diep River, past the pump station rondawel and enter to the left where you see the Table Bay Nature Reserve sign board (at the traffic lights).